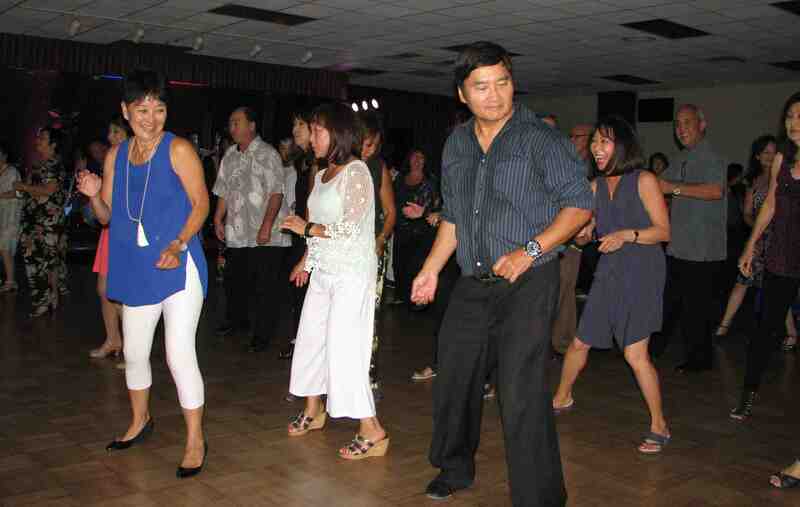 As it has done for more than a decade, the Orange County Sansei Singles held a dance on Aug. 6 at the Elks Lodge in Gardena as a benefit for the Nisei Week Japanese Festival. The proceeds donated to the Nisei Week Foundation during the festival’s closing ceremony on Aug. 21. 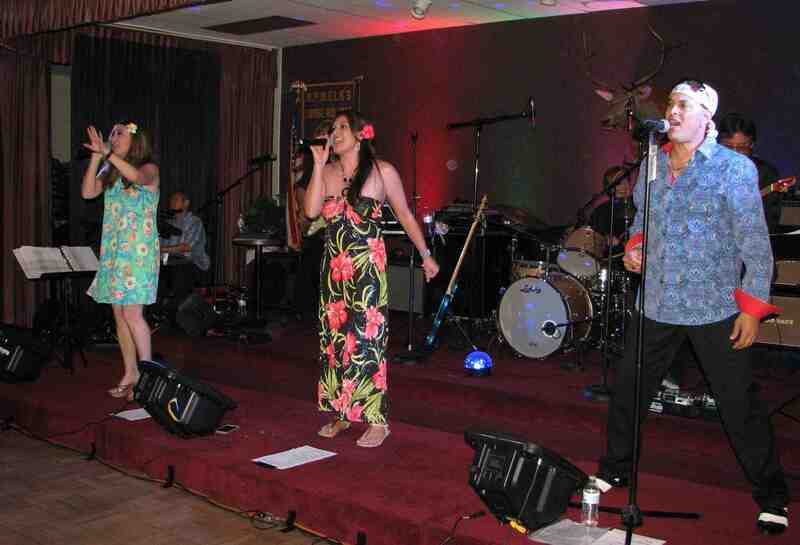 Live dance music, a mix of oldies and recent hits, was provided by Kokoro, featuring vocalists Jennifer Cella, Lauren Kinkade and Steven Santiago. OCSS board members were introduced. 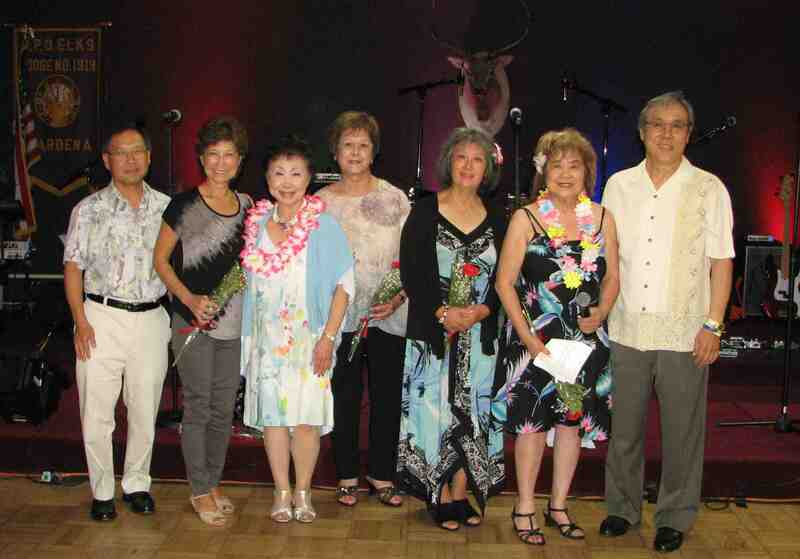 From left: Stan Masumoto, Lorraine Dohzen, Laraine Miyata, Arlene Ito, Cheryl Idemoto, Peggy Tom and Larry Haramoto. Miyata and Tom were co-organizers of the event. 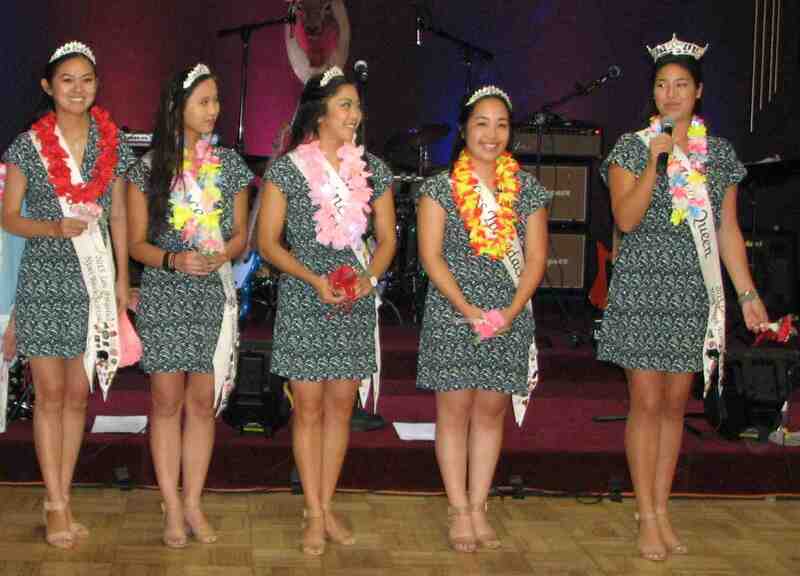 Members of the 2015 Nisei Week Court sold raffle tickets. From right: Queen Sara Hutter,Miss Tomodachi Karen Mizoguchi, Princess Tamara Teragawa, Princess Kelsey Kwong and Princess Camryn Sugita. From left: 2016 Nisei Week Foundation President David Teragawa, Larry Haramoto of OCSS and Nisei Week board member Helen Ota. 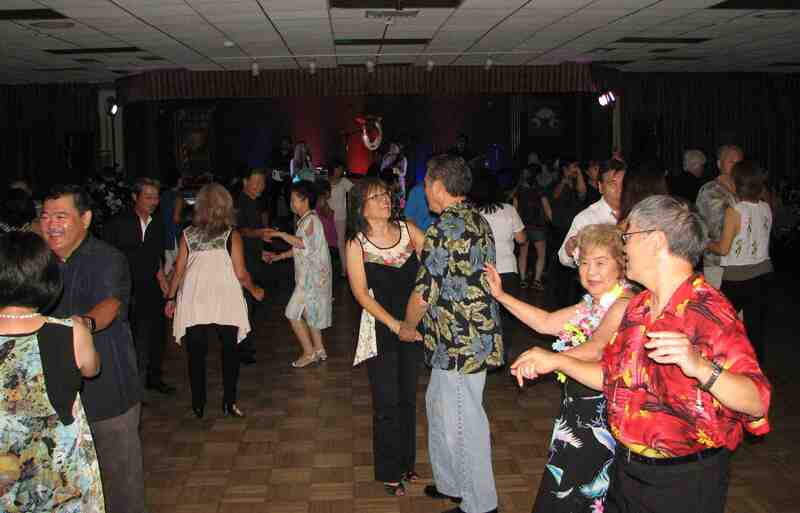 Attendees alternated between social dancing and line dancing.